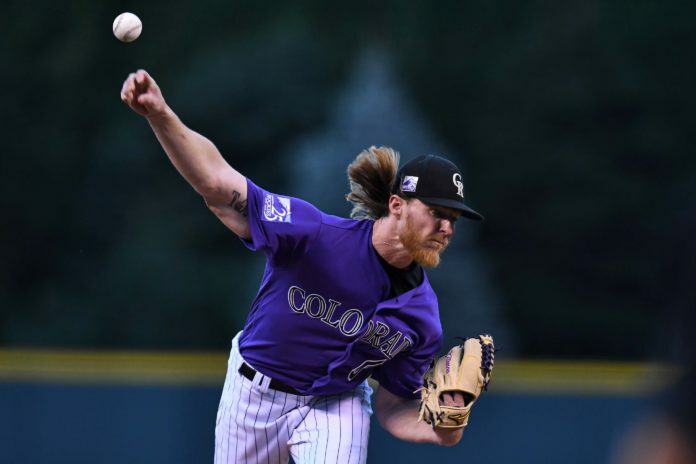 Jon Gray was expected to develop into one of the dominant front-of-the-line arms for the Colorado Rockies’ rotation in the 2018 season. 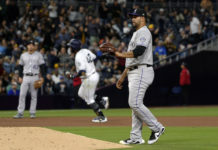 The expectations did not become a reality for Gray and the Rockies as the 26-year-old struggled to establish even a consistent presence on the mound – and wound up falling out of Colorado’s postseason plans altogether. Gray finished the season with a record of 12-9 and an ERA of 5.12. While Gray struggled, starting pitchers, Kyle Freeland and German Marquez ascended as the featured arms in the Rockies’ starting rotation. 2018 was a down year for Gray, and he vows to improve in the 2019 season, in part by building up his strength. Gray has not performed well in high-leverage situations, struggling in his two career Opening Day starts, the 2017 Wild Card game, and game 161 of the 2018 regular season. Adding muscle and getting stronger is something Gray thinks will help him in all aspects of his game. “It [has] an effect on everything, even your mind,” Gray said. Gray was noticeably trimmer in 2018. He intends to “lift as much weight as he can” to give himself a solid foundation entering a critical year. Gray mentioned that dropping 20 pounds was not by design; so his primary focus will be on rebuilding himself physically. He said his goal was to get his weight up to around 230 pounds for next season. Gray had issues all across the board last season, but was concerned with a drop in velocity, which is something he feels made him vulnerable on the mound. The Rockies’ 2018 season was successful in many ways; however, arguably their most prominent bright spot was the emergence of their 1-2 punch at the top of the rotation with Freeland and Marquez. If the Rockies want to further their success in 2019, they can do so by adding another power arm to the mix, a role that Gray has long been expected to fill. 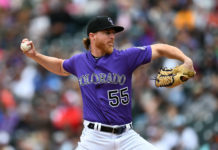 With a new offseason plan in place, Gray is hoping to rebuild physically to return to the dominant flamethrower he believes he could be for the Rockies.